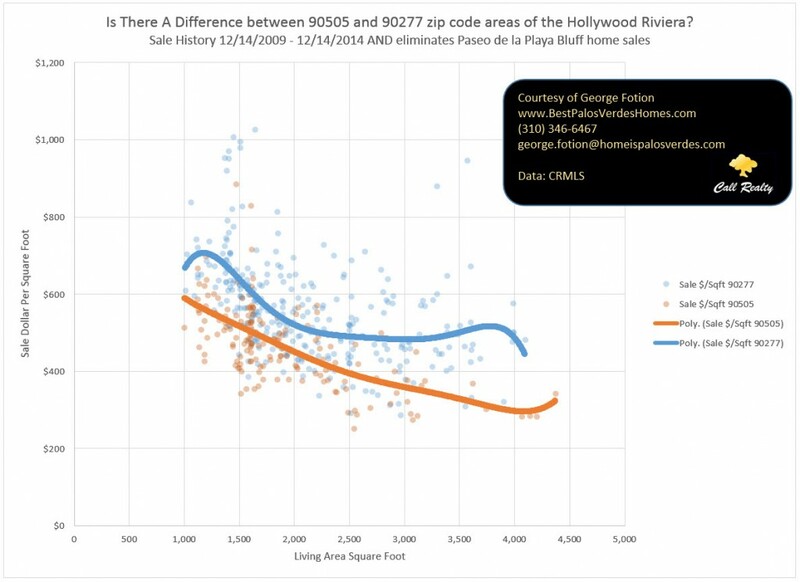 A client of mine considering purchasing a home in the Hollywood Riviera, asked me about the differences between the 90505 section and the 90277 section. Is there a difference in pricing between the two areas? I think it’s important to avoid a discussion of which section is “better” as what is “better” is certainly subjective. However, it is important when analyzing the two zip code areas of the Hollywood Riviera, to discriminate between the two. It’s amazing to me when I’m marketing a property for sale in the 90277 section of Hollywood Riviera, how many agents representing the buyer, use 90505 Hollywood Riviera sales to justify their buyer’s ridiculously low offer. And I’ve been on the other side too when representing a buyer offering on a 90505 Hollywood Riviera home, experiencing a Seller’s agent use 90277 Hollywood Riviera sales to justify their Seller’s overpriced listing. Ridiculous! Would you like a REAL TIME update of all the homes for sale in the Hollywood Riviera separated by zip code? Based on information from California Regional Multiple Listing Service, Inc. as of April 19, 2019 10:36 and/or other sources. All data, including all measurements and calculations of area, is obtained from various sources and has not been, and will not be, verified by broker or MLS. All information should be independently reviewed and verified for accuracy. Properties may or may not be listed by the office/agent presenting the information.